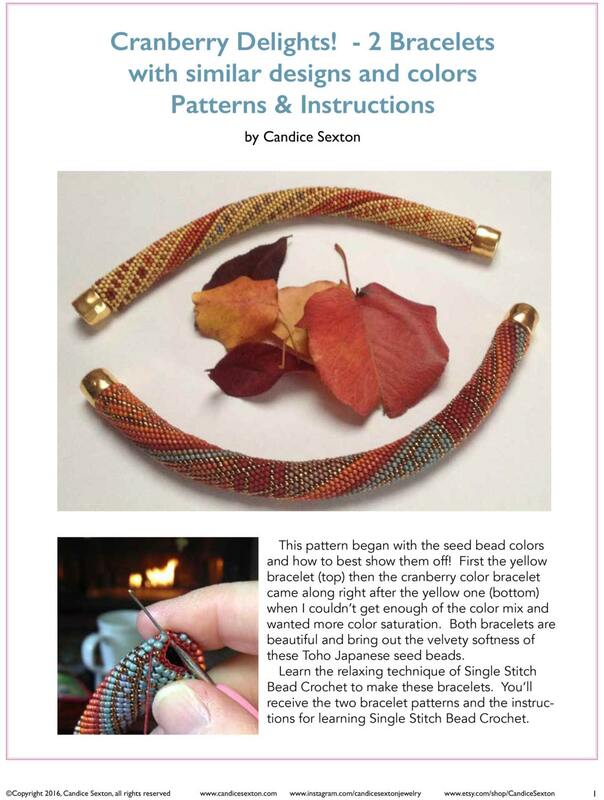 Single Crochet with Beads "Cranberry Delight" 2 Separate Bracelet Patterns & How to Crochet Instructions Included. 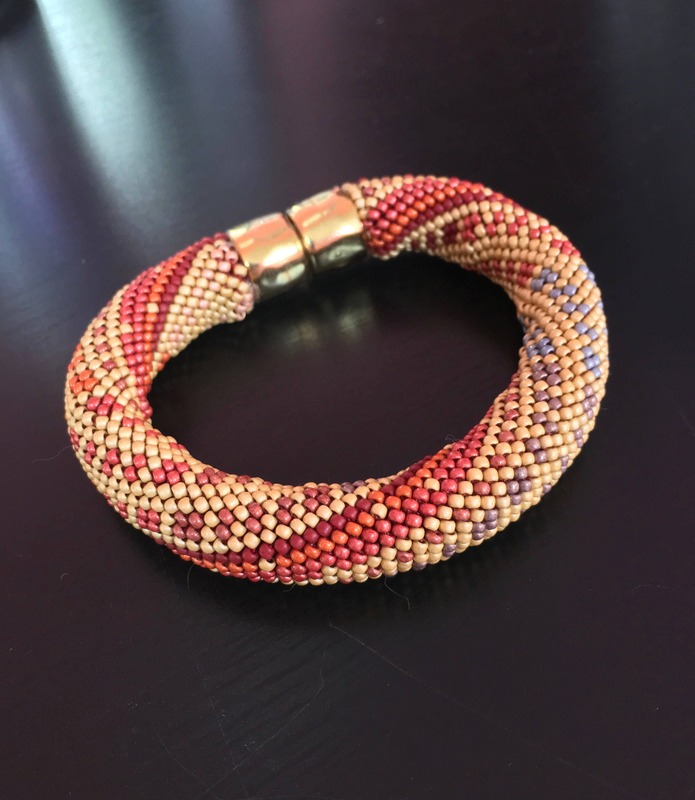 These bracelets are crocheted in 18-around and both patterns are in this downloadable document. ALSO INCLUDED - Instructions on how to crochet these bracelets, including many pictures and the document, How to Join threads. Two separate patterns are included in one pdf file! Crochet these bracelets using the Single Stitch bead crochet method in an 18-around pattern. 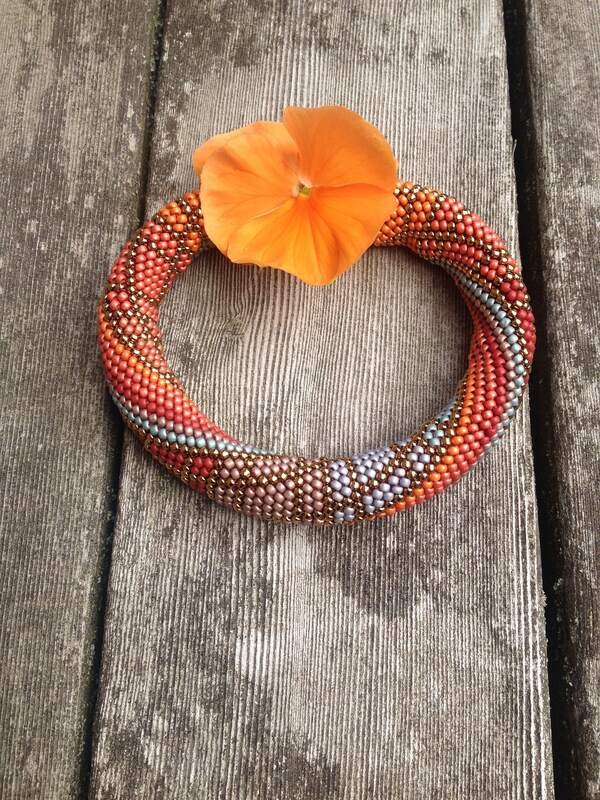 Using size 11/0 seed beads in various colors, string-on the seed beads in the chosen pattern, then crochet using the single-stitch technique. 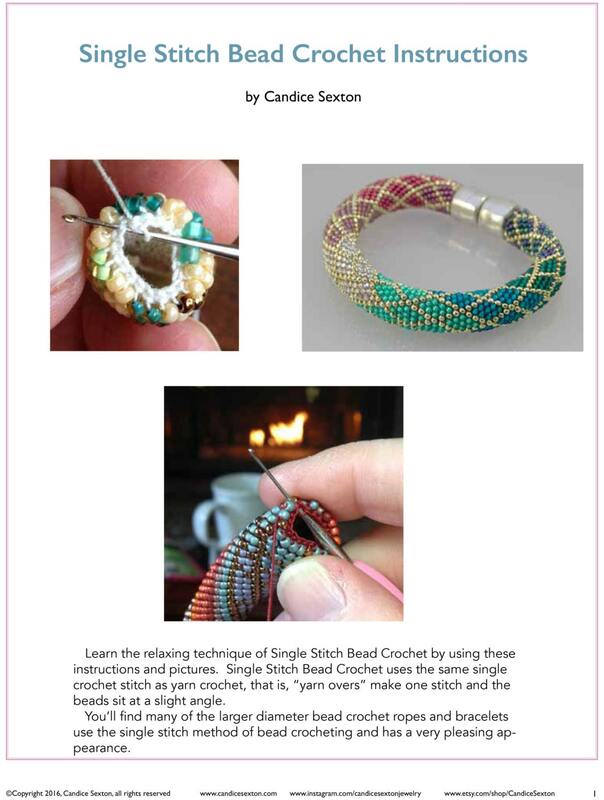 You are purchasing 3 downloadable pdf files - the two bracelet patterns in one document, the crocheting instructions and bonus file on how to join threads when crocheting. 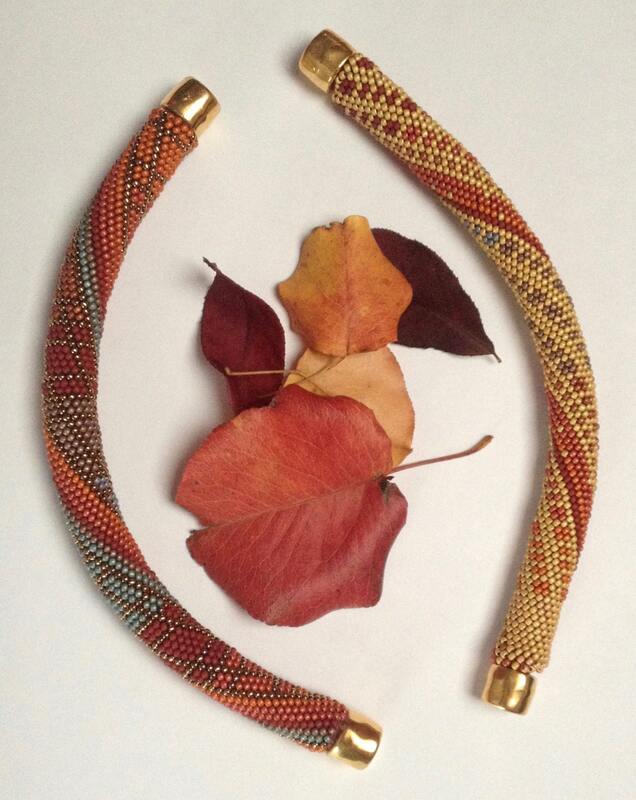 Bead Kits for these 2 bracelet patterns are sold separately from pattern and available on this site. 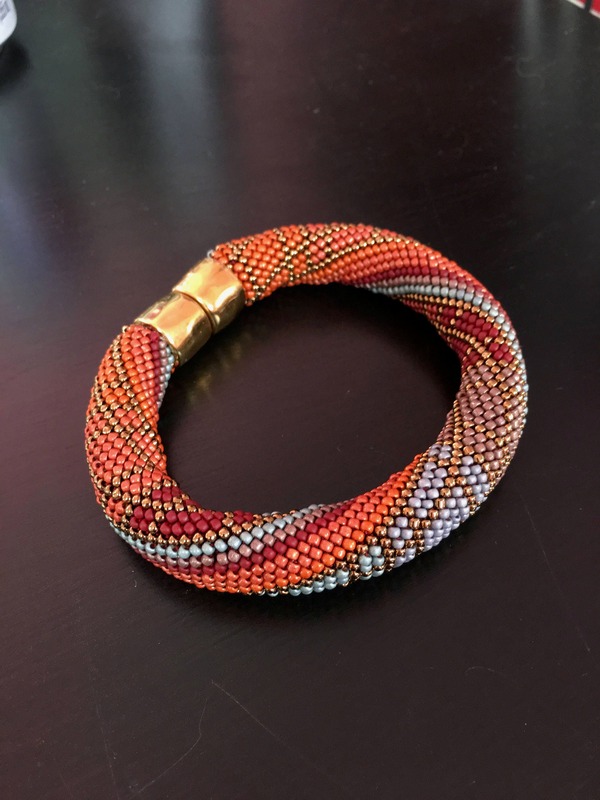 2 Pattern Colorways complete with all seed bead and crystal colors, and full stringing charts for both bracelets are included in this one pattern purchase. Kits are perfect for saving time, getting the exact colors and materials used with no hassle! 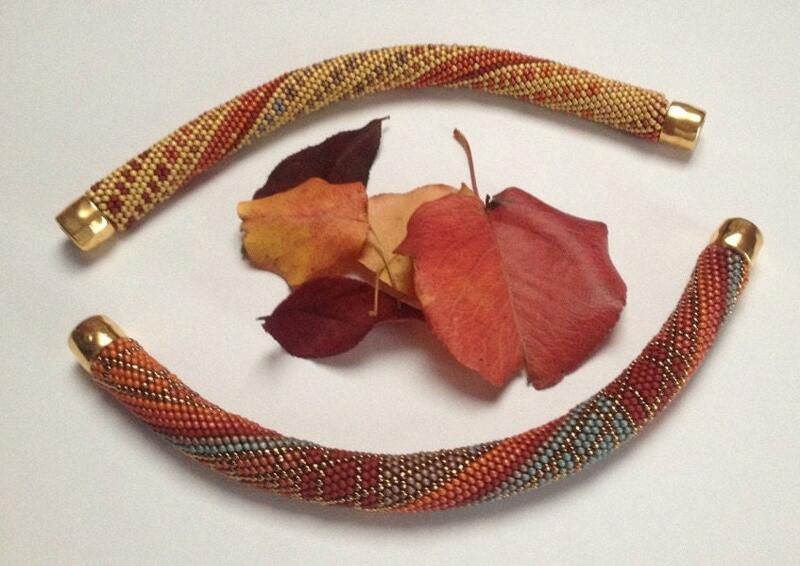 Please see the beautiful kit colors on this site to compliment the pattern choices and enjoy making your bracelets!